I want a prebuilt pc ! I want to build my pc ! Having quickly grown to be one of the top PC games in recent memory, everyone is talking about PlayerUnknown’s Battlegrounds, or PUBG for short. It’s rose to the top of the pile for those looking for fast-paced, intense action. If you’ve been hearing people talking about it, or you want to get started on it, you’ll need a good PC. The game takes a fair bit of punch to run, so you’ll need to be pretty open to upgrading your machine. In this article, we’re going to recommend the ideal kinds of computer for PUBG players. Having looked around, we’ve found some solid machines that would do a fine job of helping you get involved and start trying to be the last one standing. Now, with this in mind, you might think the game sounds pretty challenging to run. That might be the case, but you can still get a good value machine that could run it without too much fuss. We’re going to break down some of the rigs you could buy as a computer for PUBG. These are solid machines that should easily be able to handle the game, in varying forms. We know most people have limited income, though, so feel free to choose the option that suits your own affordability best. PUBG still looks pretty damn good even on the lower-end of the spec. At the top of the spectrum, though, it looks pretty awesome. If you want to get the most out of the game, then you’ll have to decide between buying a stable performance, or investing widely in the full collection. Let’s take a look at the three top computers we can find for you in the budget, standard and ‘elite’ category. Don’t let anyone force you into a financial decision that you cannot cope with. Only buy the computer for PUBG that you can afford. Of course, as ever you want to make the whole choice of choosing a good computer for PUBG to be a bit easier than it has to be. If none of the computers above sound like your kind of thing, then you can easily buy a pre-built rig on Amazon and use that instead. This is a common option for those who lack the time/expertise to build a PC from scratch, or want to avoid using a specialist vendor. To help you make sure you can play PUBG, we recommend that you take a look at the following computers. Each of these are going to be good enough to run the game on varying terms, and can be delivered to you in quick time. Naturally, this can be very useful for making sure you can enjoy a more simplistic time when trying to play the game. If you are wanting to get a delivery made soon and get the PC dropped off and ready to go, then you can use any of the following easiest done-for-you computers for PUBG. Each of these are excellent choices when you are looking for value from your computer. If you are looking for a solid mid-range piece of kit that can do the job that you need, then this is a good starting point. 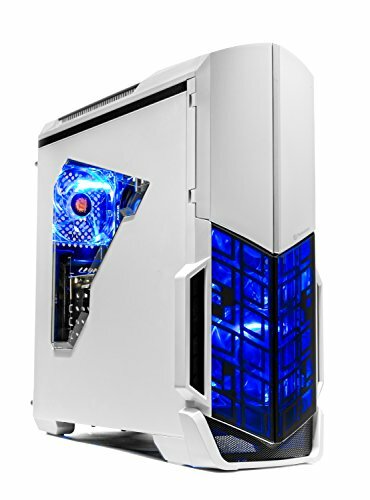 It’s got a decent i5-7400 3GHz processor with an AMD Radeon RX 580 video card, with a solid 8GB of DDR4 RAM. Yes, it’s not going to have PUBG running flawlessly and you’ll probably struggle to get above the Medium settings for most things, but it can still play the game. Given that the lines between what looks good in a game and what looks poor is becoming increasingly blurred due to the general level of parity in gaming graphics, too, PUBG still looks good on the lower end settings. If you are not too fussed about getting a computer that comes with all the extra nuts and bolts to make it play at the High+ settings, then this is a fine starting point. When you are on a budget, the relatively modest price will make this a good starting point. While there’s naturally better out there this makes an entertaining and eloquent choice for beginners. As a piece of kit, the SkyTech is quite comparable to the Cyberpowr in many ways. It’s got a very good level of performance, with an AMD FX-6300 3.50GHz 6-core CPU in there for good measure, backed up with 8GB of DDR3 RAM and a GTX 1050 Ti GPU. As you can see, then, it’s got plenty of horse power to handle a game like PUGB. It’s a very good computer for those who are looking to save a few bucks. Again, though, it’s not going to be playing this at the top level; you just need to accept that most forms of computer in this price range are not going to be ready to play something like PUBG properly. If you are someone who deeply cares about graphical quality, then you might want to boot things up and go for the next option. However, for a secondary PC to get a friend involved or to have as a good medium-term solution, then the ArchAngel is a computer well worth keeping an eye on. It’s not anything magnificent, but it’s a damn solid selection. Now, this is probably the best computer for PUGB performance at the top range of the spectrum. It might out of the price range of many people but it’s a damn powerful piece of kit. It comes with a banging I7-7700k quad-core processor at 4.2GHz, and it also comes with 16GB of DDR4 RAM, and a 240GB SSD for good measure. Store your PUGB on this and it will load even faster. Also, it comes with a whopping GeForce GTX 1080 graphics card, which should be more than powerful enough to handle any of the challenges that you face with playing a game like PUGB. We’d suggest this would be more than powerful enough to handle the game at the Highest echelons of performance. 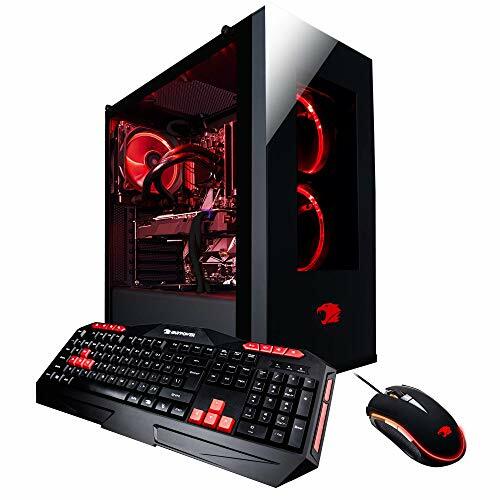 Add in the fact this comes with a good quality of keyboard and mouse as well as a very snazzy case that looks outstanding, and this can make a fine choice for a more high-end choice of computer for PUGB. It’s a very solid rig overall, and one that most people will get plenty of enjoyment out of using. If you are looking for high-end quality at a steep but worthwhile price, then this is definitely one to add to ‘the list’. Now, as ever you should do what you can to look closely at each of these and better determine what they bring to the table in terms of performance. It takes a lot of courage and education to make sure you make the right call when it comes to using a computer, so read closely into each of the machines to see where you stand. You should also be aware that since these are pre-built that if you do want to improve or upgrade them later you will need to go it alone. This is easy to do – YouTube is your friend – but it means finding a compatible motherboard to store all of your hardware. For example, you might find that your CPU or GPU is at the max that your present motherboard can take. If you buy a new and more robust option, can it use the rest of your rig? Either way, you should look at the above as suitable computers for PUBG gaming. They are very effective and easy to use solutions that, without doubt, can make a big difference when you want to get gaming on a budget. If your friends are waiting for you to get a rig, these make fast and simple options for today. This is a very strong rig for the price, giving you a solid 1TB HDD for extra storage, and using a pretty solid Gigabyte GTX 1050 Ti GPU. The AMD Ryzen 5 1400 Quad-Core @ 3.4GHz is pretty decent, as well. This can handle itself. Yes, it’s not going to give you absolutely flowing performance and it might struggle a little at the higher detail levels, but it can easily handle Low/Medium setting combinations and deliver a solid 60fps. If you are looking to expand on it more, you could easily swap out the graphics card for something a little meatier in the medium-term, but it’s a fine starting point. If you aren’t used to 4K gaming and you don’t have a total hang-up about graphical detail, this will more than get you started. Besides, the price along means just about anyone could hop into the world of PUBG and start playing. You won’t have the same level of detail and if you go ahead of the Medium settings you might start to see frame rate drops, but this can handle itself. So, you won’t be firing around and wiping everyone out on Max settings or at 60fps all the time, but it’s going to handle the game no problem. The Ryzen CPU makes sure you have a pretty whopping level of power to take a bit of flak from the rest of the games demands, though, so you should feel comfortable playing on 1080p or even 1440p if you can. Yes, newer games like PUBG will probably struggle a little when the going gets tough, but for a budget machine it does a more than admirable job in helping you along. If you are looking to get a second PC in the house for someone else to jump on the computer with PUBG, this works perfectly. As the Elite Gaming Computers team themselves actually say, you could easily swap out the graphics card if you want to try and push it ahead of Medium settings, as the CPU and the 8GB Corsair RAM should keep you well on the right track. It ticks just about every box that you need if you are short on cash and want to give PUBG a bash. Now, if you are looking at something a bit more level-headed and easier to handle, then we would look to the ‘big brother’ of the above. This should be more than capable of being a computer for PUBG on the High settings. It’s got a solid 120GB SSD from Kingston, which we recommend you install the game on for even better loading time and performance. Add in the fact it has the same 8GB RAM with a more impressive ZOTAC GTX 2070, and you can see why this would be more than comfortable handling PUBG. You might need to turn things like the shadows and foliage down a notch, but just about everything else is going to be a pretty lend of High and Ultra. You’ll get the odd jutter, but nothing that you cannot deal with. Keep in mind the game is still Early Access in many ways, so even with the best rig you might still run into the odd jangles. The hardware that you find inside this rig can actually handle games which are more demanding than PUBG, but the fact it’s still in build means you could still get the odd issue. Most of the time, you’ll be 60fps or more. It’s solid, strong and can easily handle the stress of the game. If you want total fluidity then you could knock the shadows down to low, but that computer is strong enough to usually avoid that, owing to its rather beefy AMD Ryzen 5 1500x – this is a fine piece of kit and will definitely help to balance out any performance worries you might have had. This is equipped with plenty of power and has a fair chunk about it. If you are looking for a machine that can easily play PUBG without being able to crank it up to the Max, then this is well worth your time. The Standard machine for us, then, is the perfect balance between cost and quality for a computer for PUBG gamers. It can pick itself up to handle the game far better than the Budget PC, but it’s still not capable of handling the game at top level. Again, the demands of the game and its current status means this might endure for other similar-powered machines, too. Now, if you are really looking to lash out and go for something extra-special, the next one is for you. For any gamer looking for an Elite computer for PUBG this will be money well spent. It’s sturdy, powerful and exceptionally reliable, giving you an extremely easy way to manage and make the most of your hardware choice. Thanks to the wonderful Gigabyte GTX 1080 GPU, flanked by an Intel Core i7-7700K and armed with a be quiet! BK009, this is a silent assassin. It’s got more than enough power to take PUBG to the Ultra range with no real detectable issues. Again, your main enemy is going to be issues with the game itself. At this level of hardware, you’d be hard pressed to cause any kind of performance issues due to your rig. It’s exceptionally powerful, and is armed with 8GB of Crucial Ballistix Sport RAM. It’s got plenty of kicking power, that’s for sure. By getting you access to one of the top kids on the market for gaming, the GTX 1080 Ti, you can be sure that you’ll be surviving with style in no time. it’s got a high quality motherboard that can handle all the pressure you put on it, too, with the game running like a flowing fountain on this piece of kit. It’s got everything that you would be looking for if your aim was to pick up a quality gaming rig. It even has space for a second graphics card, if you feel like really blowing things out the water or if you want to make 4K gaming as easy as possible on your rig. This would need a new PSU, though, so be sure you think about that. On its own, though, this is the ideal computer for PUBG if you want to be able to handle even the most stress of situations in full 60FPS. The Elite option is without doubt the ideal pick for those who are happy to splurge out a bit more. The investment will see you left with a piece of hardware that you can definitely trust to help you stay on the right track. It’ll be a reliable gaming machine for you to for years to come, and will be more than your computer for PUBG; it can handle just about everything! If I buy a computer for PUBG, will I need to then upgrade it again to play other games shortly after? How long will this new rig be needed for? How long do I need to wait to buy it? Could I save up and go higher? With the game still running well on the budget machine for sure, do I really need to go all out? In general, it’s hard to make the choice for the level of finance that you are willing to invest. 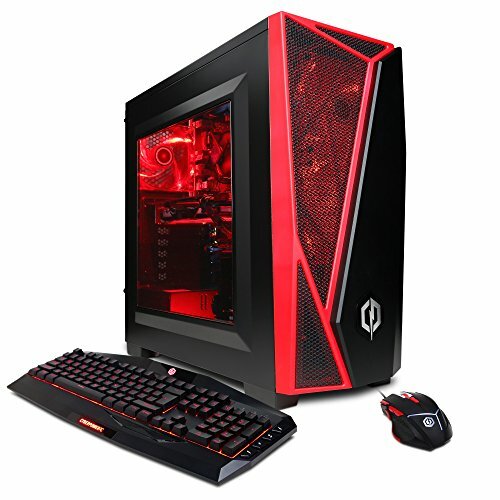 Using the above, though, you should find it quite easy to pick out an affordable computer for PUBG gaming. All three will run the game exceptionally well, with each merely adding more capabilities based on things like the peripherals you have. Either way, best of luck and we’ll see you on the field!